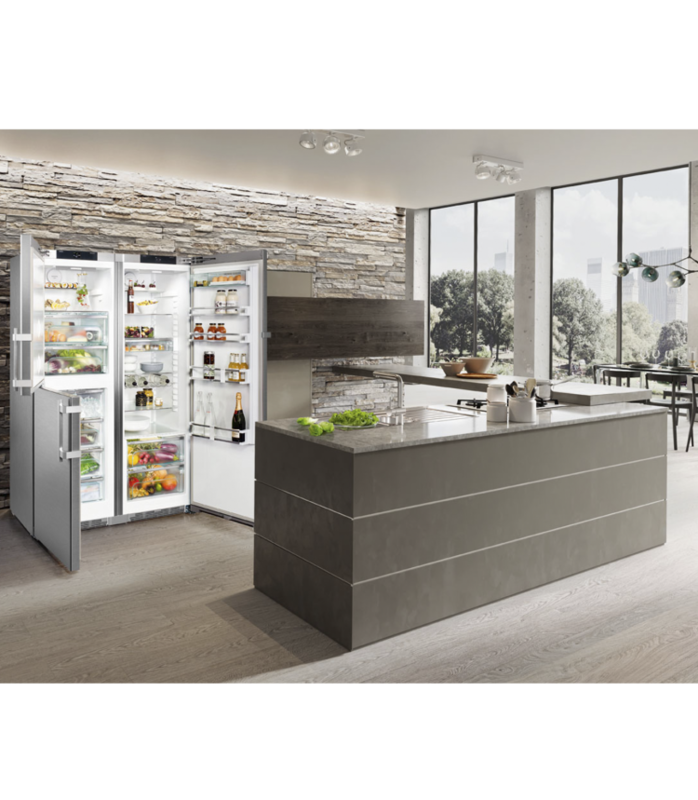 The Liebherr SBSes 8473 Premium supplied at the lowest price in the UK from Fridgepromotor. 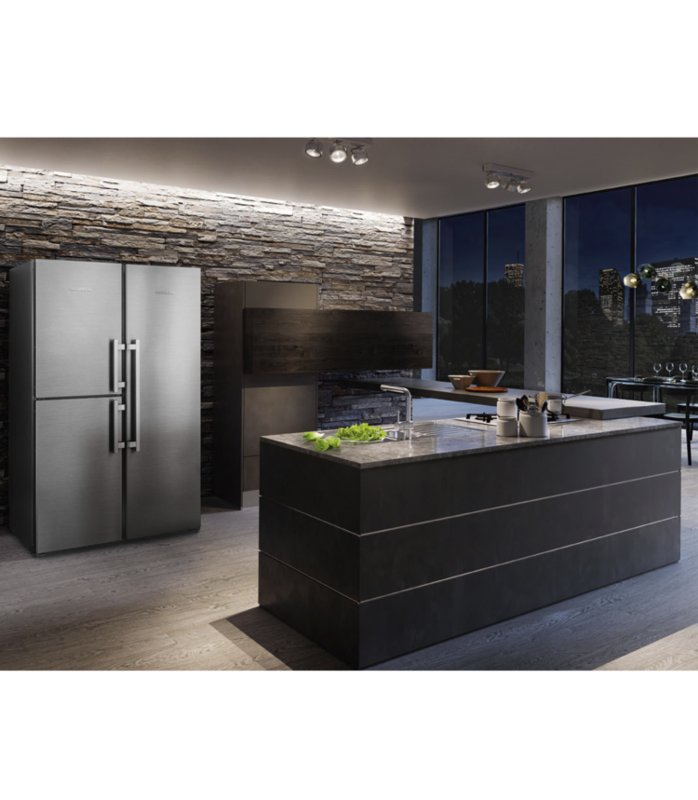 The SBSes 8473 is comprised of 2 fully clad stainless steel cabinets featuring a BioFresh section. 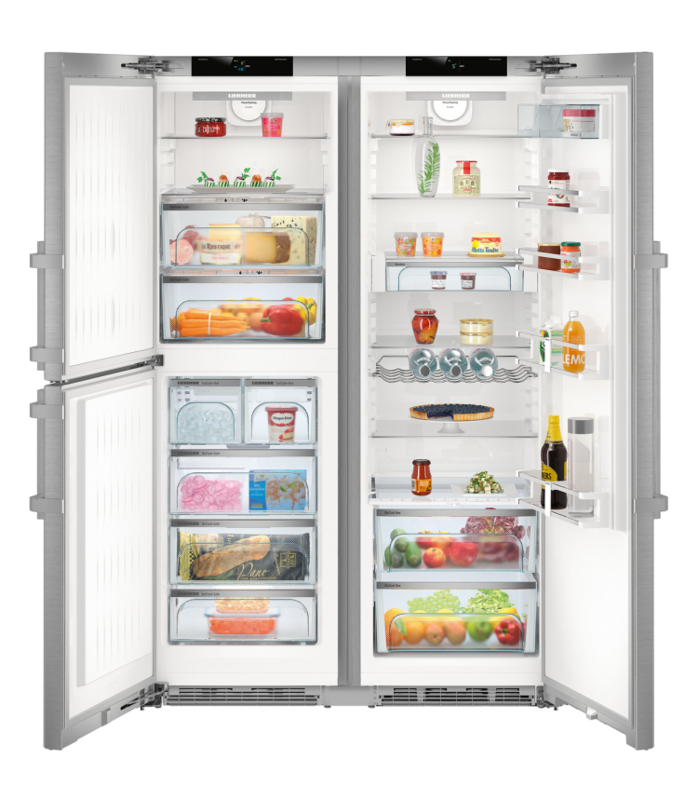 With an A+ Energy class for both models this really is the complete storage centre. The SBSes 8473 contains the BLU Performance technique. 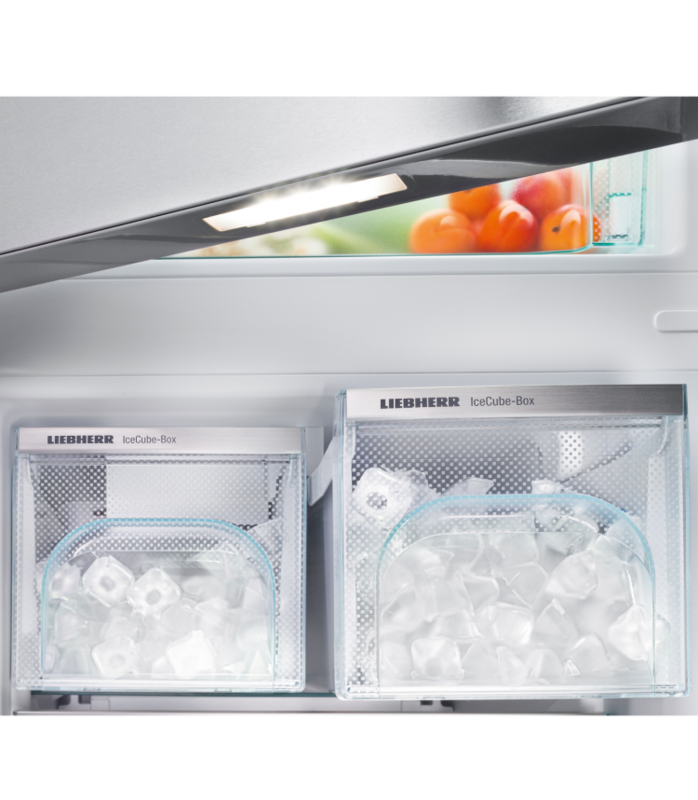 The SBSes 8473 incorporates Liebherr's BLU Performance technology. 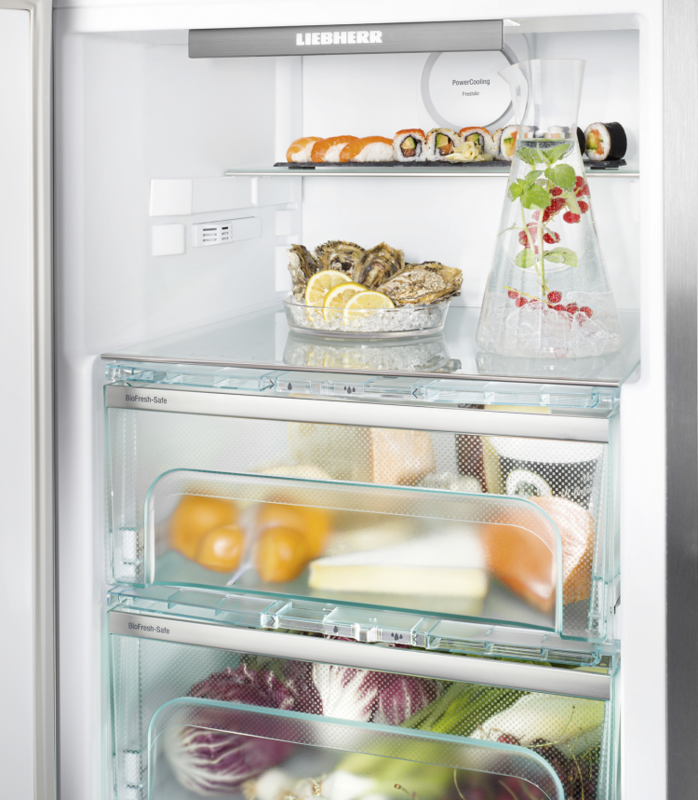 One advantage of this new feature is the improved capacity inside the cabinets. There is a plinth available for the SBSes 8473 Premium. The plinth is recommended for situations where the floor is not entirely level. 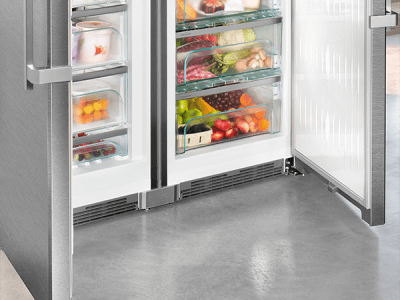 The plinth is adjustable which enables the SBSes 8473 to stand level. Please note when using this it will add 4.7cm to the height. 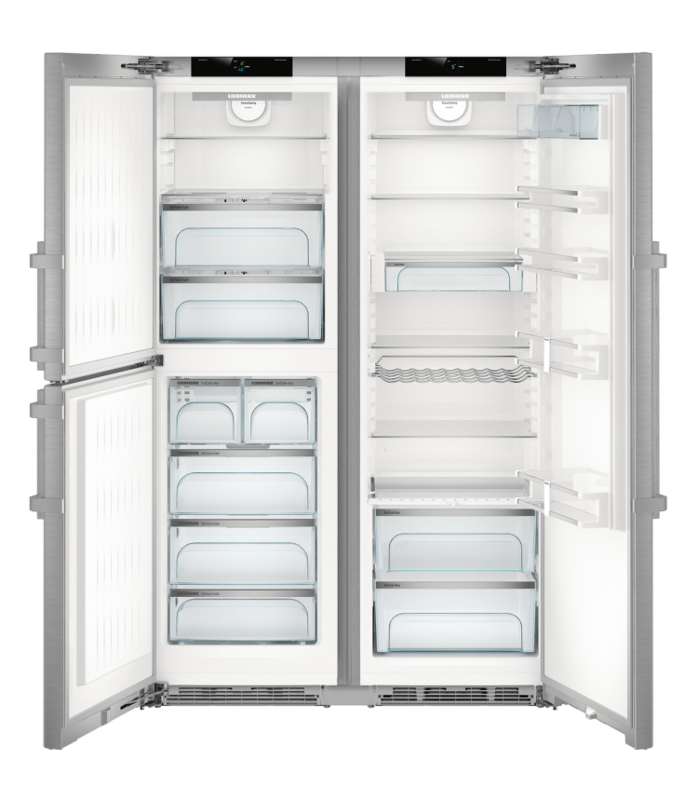 How at Fridgepromotor are we able to offer the lowest price for your Liebherr SBSes 8473 Premium? Please note that that the water connection point is a maximum of 1.39 metres from the left side or 0,39 metre from the right hand side of the Liebherr SBSes 8473. 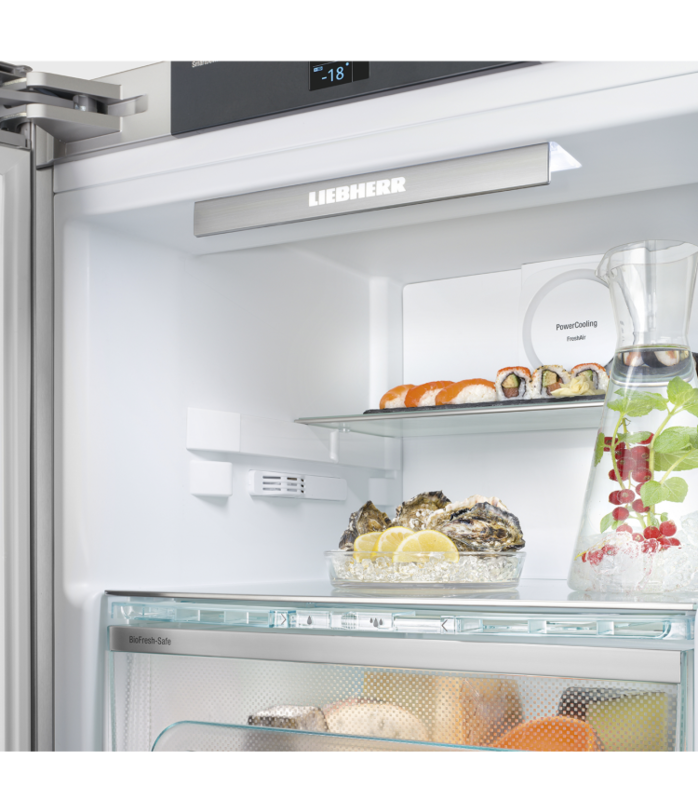 Interested in the Liebherr SBSes 8473 Premium?